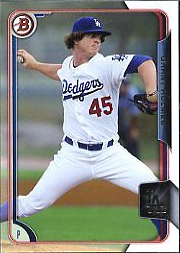 Topps newest release is called 2015 Bowman Draft Baseball, and as the name suggest it focuses on top level prospects throughout the game. Go here for a complete checklist. 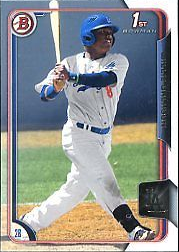 As for the Dodgers, there are six prospects to chase after in the base set. 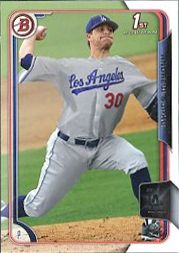 Check them all out below. 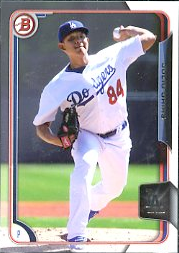 Julio Urias is the obvious big name in the set. 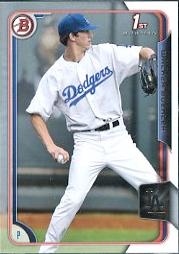 It should also be noted that the Walker Buehler card is an obvious Photoshop job. 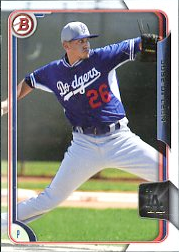 He has yet to throw a pitch in any fashion for the Dodgers due to Tommy John surgery.